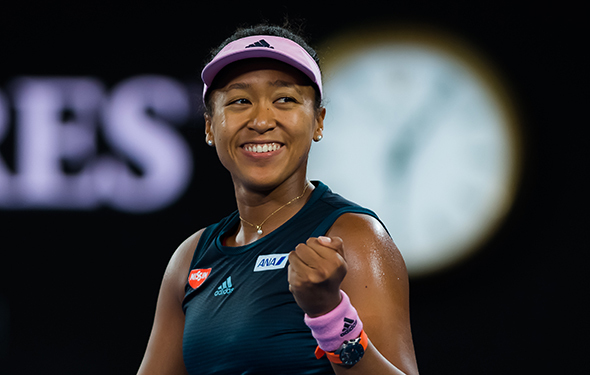 FROM THE AUSTRALIAN OPEN, January 25 – Petra Kvitova is playing wonderfully, but in a sense, so is Naomi Osaka. The Japanese had to boost her game in the third sets, three times, and she kept chugging. She will smoke the crosscourt shots, with her forehands and her backhands. She likes to flatten it out, she can also throw in some spin, and she can sprint all the time. She does have a chance to win at another Grand Slam, two in a row, as five months ago in the US Open, she overcame Serena Williams in the final. That was very dramatic but marred with the Serena’s game penalty. The same thing occurred two days ago, when Osaka edged out Karolina Pliskova 6-4 in the third. Osaka knew it was super close, but in the last game, she took a deep breath, she took a little bit of time, she tossed it up, and with her serve, she smacked it down into both corners. “Ace, ace,” she yelled. And she also blasted her forehand. She won it, and while Kvitova is playing tremendous ball, the Japanese/Floridian is really fighting and she is getting better mentally. She is correct. On Saturday night, in the final, they will go toe-to-toe. They are big hitters, and they have big first serves, and maybe even there second serves. They like to aim down the line, and they keep it low. They know that in the finals at a Grand Slam, they have to stand up very high. A few weeks ago, she played at Brisbane. She lost quickly in the semis against Lesia Tsurenko. She was unhappy, but she learned from it. So on Saturday at the Australian Open, she may not win, but she will try every second.